When you hold it in your hands, it's deceptive. It's a book, not a comic book. The content is laid out an presented in comic book form, but it's a book. Confusing, eh? Herein lies it's beauty. The "history" it presents is completely non-traditional. If you love video game history and crave an in-depth look, Give Phoenix a read. Content in the Comic Book History of Video Games is erratic, jumps around and makes great use of comic's visual medium. Remember: I used the term "History", but the book's title promises a "Story." This book is fun - like comic books. It's also educational - unlike many comic books. The way raw information is wrapped in the visual panels and into a story is where this book shines. It may not deliver a complete history, but you're going to really enjoy the way it takes the technical aspects of video games and presents it as a wild journey! There is moe info on the book's website. makes great use of the comic format. Their website even has a download for a paper-craft arcade cabinet featuring the book cover's graphic style. Print, fold, and revel in doing something unique! 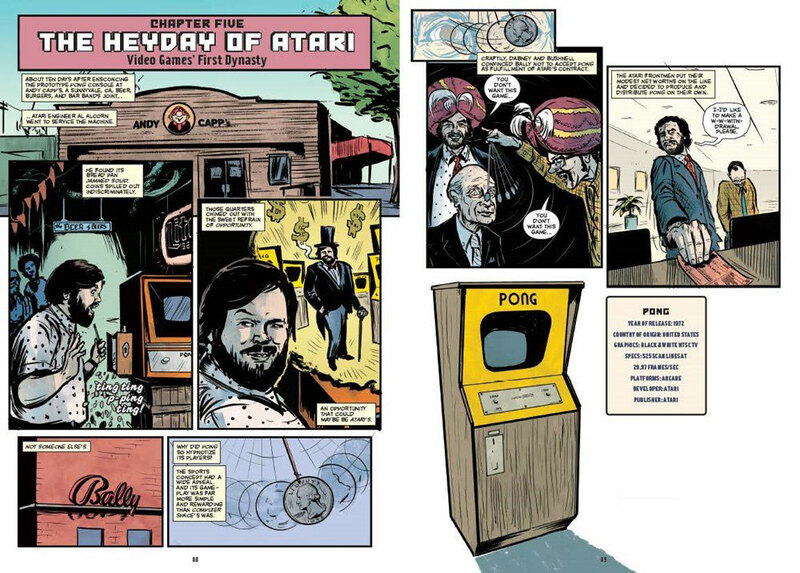 Most of us, myself included, assume this story will begin with Atari followed closely by Pong. Not so. You'll get halfway through the story before Atari comes on the scene. I love video game history books chock full of juicy details and facts. 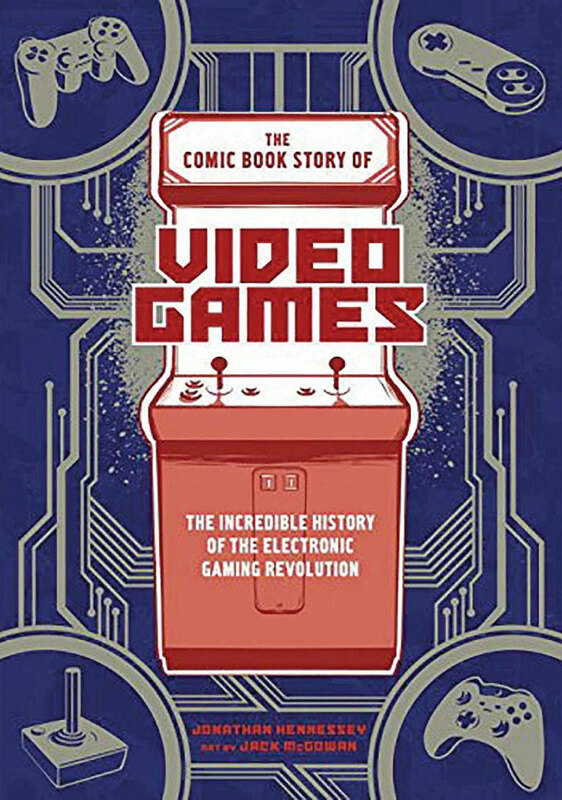 The style of Comic Book History of Video Games adhere's to history, but tells a story that's refreshingly fun in a medium we seldom see associated with such info. Comics are about telling stories and they use visuals as much as text and speech to deliver an experience. This book does this with flair and style. If you love video games and have a middling curiosity about it's beginnings - settle in or a story unfurling into the pixels we all love to push! If you don't love it, slap yourself. gives plenty of factual information in a highly entertaining format unlike most books hinting at history. 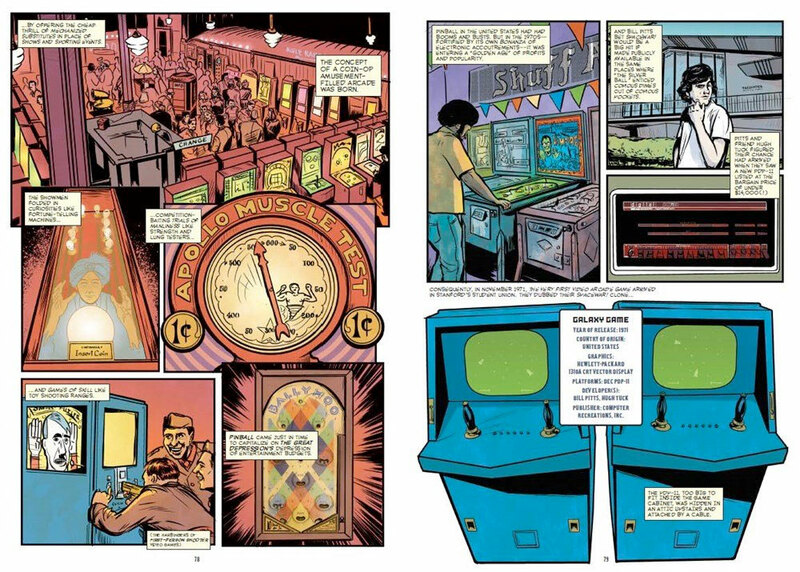 The visuals and comic book format allow the story to jump through time while offering a chronological account of how we went from simplistic handhelds to computer-based game consoles.